The International Monetary Fund has said it was monitoring the reported rift between the Reserve Bank of India and the Centre in India, and expressed its opposition to any move that compromises the independence of central banks anywhere in the world. There were reports of mounting tension between the Ministry of Finance and the RBI over the autonomy of monetary policy makers after Union Finance Minister Arun Jaitley on Tuesday criticised the central bank for failing to check indiscriminate lending during 2008 and 2014 that has led to the present bad loan or Non-Performing Asset crisis in the banking industry. "We’re monitoring the development on that issue and will continue to do so," (IMF) Director of Communications Gerry Rice told reporters on Thursday when asked about the row. "Just stepping back, as a general principal, and we've said this before. I've said this before standing here that we support clear lines of responsibility and accountability... And, international best practice is that there should be no government or industry interference that compromises the independence of the central bank and financial supervisor," Rice said. "We regard it as such and we have to make that statement in the context of a number of countries. So, I think that's probably the best response I can give you," Rice said, responding to a question on the increasing efforts globally to criticise central banks, including the one by the United States President Donald Trump in recent weeks. The row was sparked off last Friday when RBI Deputy Governor Viral Acharya in a hard-hitting speech warned that undermining central bank's independence could be ‘potentially catastrophic’, possible indication of the RBI being pushed to relax its policies ahead of general elections next year. 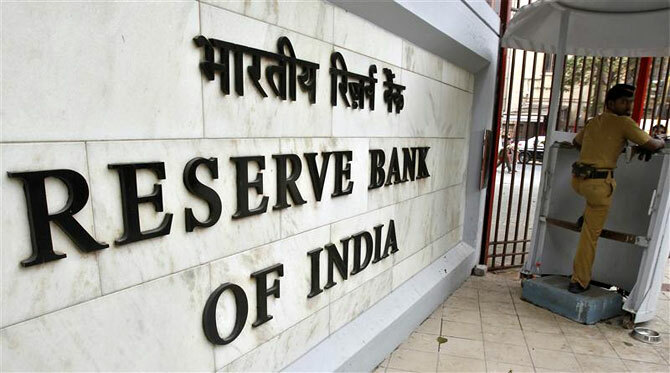 Without acknowledging that the notices have been sent to the RBI, the Finance Ministry in a statement said that the autonomy for the central bank, within the framework of the RBI Act, is an essential and accepted governance requirement. Governments in India have nurtured and respected this.